Ever wondered why Seven Bungalows is called Seven Bungalows? How did it get its name? Here is some interesting trivia about Seven Bungalows. During early British era, this area was a marshland. Nothing but seven bungalows stood here in the midst of mangroves and coconut palms, while the Arabian Sea lay adjacent. Most of these bungalows were owned by affluent Parsis; one even owned by Dadabhai Naoroji – Founder of the Indian National Congress. 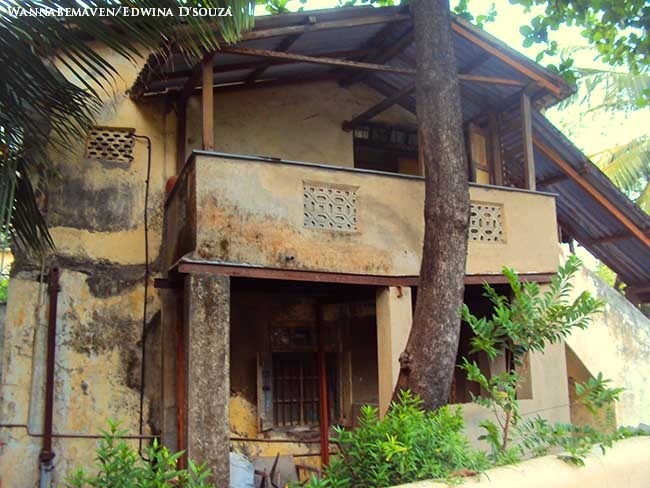 Dadabhai Naoroji breathed his last in his cottage in Seven Bungalows. It is disappointing to learn that Dadabhai Naoroji’s bungalow along with 5 other bungalows were sold to the land mafia, and high rise towers built in its place. In present times, Seven Bungalows is considered a plush Mumbai locality with sky-rocketed real estate prices. But, while six out of seven bungalows made way for buildings, one still stands undeterred. 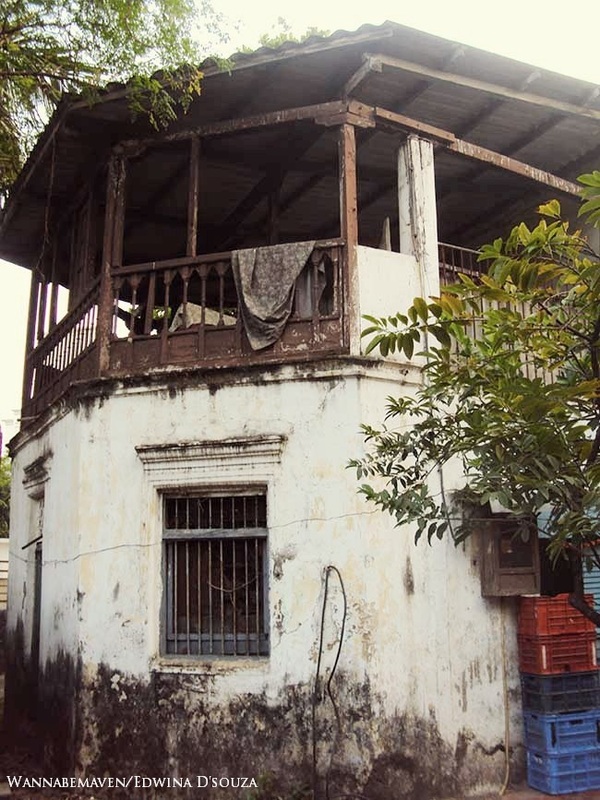 Built in 1898, Shanti Niwas (the last remaining bungalow) belongs to an elderly lady. The ground level is let out, and has been running Nazneen bakery for over 40 years. Simple yet elegant architecture of Shanti Niwas clearly reflects the work of an era gone by. Exteriors of Shanti Niwas. The structure has lost its paint but not its charm. The bungalow is in a tarnished state, and watching its crumbling exteriors will dishearten you. Some activists have been advocating the preservation of the bungalow as Heritage. But nothing has been said or done so far. It also won’t be wrong in assuming that the bungalow is eyed by a dozen land sharks, and it is uncertain how much longer the bungalow will stand here. So, the next time you pass by Seven Bungalows, you know the history of this place. Before it is too late, try to catch a glimpse of this bungalow (without disturbing its residents, that is). And don’t forget to buy some Mava cakes and Nankhatai from the bakery below! Shanti Niwas stands opposite Nana-Nani Park, Seven Bungalows, Andheri West. (Again, if you plan on catching a glimpse, please avoid disturbing the residents of this property). Dadabhai Naoroji, Edwina D'souza, Heritage, History, Offbeat, Seven Bungalows, Versova, Wannabemaven. Bookmark. Nice to read an article on 7 Bungalows !! I still reside in 4 Bungalows & have seen the place change drastically since my childhood in mid 70’s. My school bus used to make a trip starting from 4 Bungalows to 7 Bungalows to Versova & back picking up school kids. Thankfully my memory is strong and hence i vividly remember these areas with lush green trees & coconut groves, old bungalows. Yaari road was virtually deserted. Been here recently after 15 years & the whole place is a concrete jungle !! Hi… was just browsing the net for the history of seven bungalows and came across your blog. 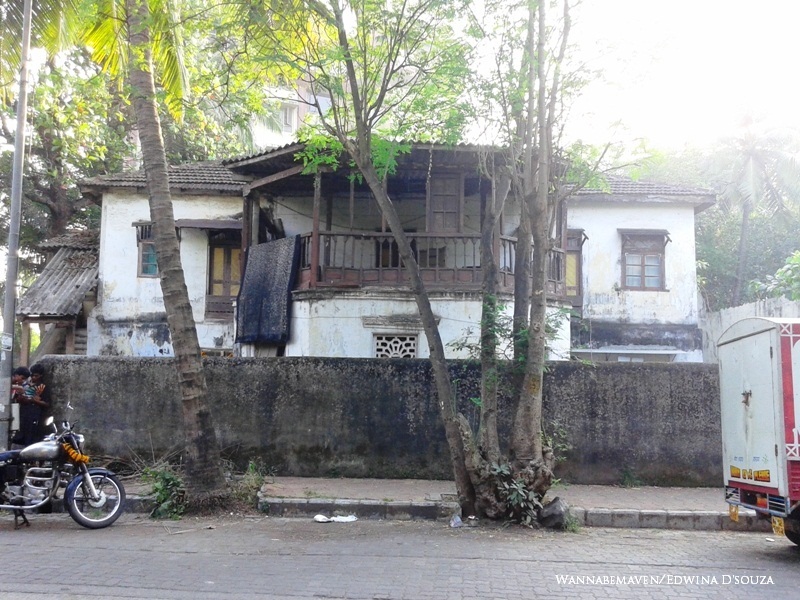 As you know the ‘Dariya Mahal’ bungalow in versova is in news because of Priyanka Chopra. Is it one of the seven Bungalows??? As according to your blog, there is only one left, and that is ‘Shanti Niwas’. Please reply & give reference if you can.